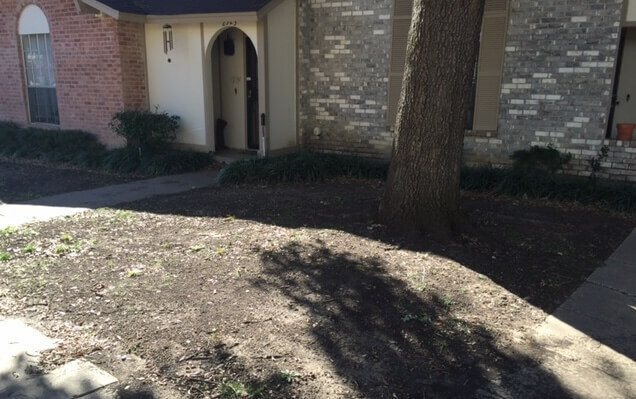 It’s good to learn how to prevent drought foundation damage in Texas. That’s because so many Dallas, Fort Worth area houses that have been harmed eventually need foundation repair service. When studying the many causes of deterioration in slab and pier and beam foundations, you’ll find that hot weather and shifting clay soils can have harmful effects on local homes. To avoid the destruction of your Dallas, Fort Worth structure, make sure that the soil around your foundation doesn’t get bone dry. It’s best to keep it slightly damp all throughout the summer. Just place soaker hoses around your foundation and let them run for about 15-20 minutes a day. When studying foundation damage in Texas and causes, remember this: Its beneficial to maintain an even moisture level around the foundation of your house or commercial property. That’s because during a Texas drought, clay soil shrinks (contracts). That, in turn, causes foundation movement. If this happens to the dirt around your foundation during an extensive period of dry weather, cracks could become an issue and foundation damage may occur. Due to the recent drought, foundation repair in Texas is common. This is especially true in the DFW metroplex. You may want to read all about how hot summer weather damages foundations, including concrete slabs and pier and beam structures. Foundation cracks are a real problem for many homeowners. Another way how to prevent droughts from harming your foundation is to make sure that the downpours on your gutters direct heavy amounts of moisture away from your foundation. If you don’t, the soil beneath your foundation could be washed away. When the temperatures rises to 90-100 degrees, you’ll notice that the lack of soil has caused foundation damage. It’s important to find out about Texas soil conditions and recent droughts, and learn how they can harm your foundation. A lack of rainfall, combined with climate conditions that reach upwards of 101-105 degrees, have an adverse effect on houses. If you think your North Texas area house has been affected by clay soil and weather, have a foundation repair contractor perform an evaluation on your structure. If it does need to be fixed, it’s best to have the work done as soon as possible in order to minimize damage. By installing foundation piers that will make your structure level, a drought’s effects on your foundation will be minimized. Terminating the destruction of your property now will ultimately save you money and protect your property value. To benefit from a free foundation evaluation, just contact HD Foundations online or call 817-226-7221. We service the entire DFW area. Does Hot Weather Cause Foundation Cracks?